ORLANDO — To further his 30 years of service in public safety, Jerry L. Demings won his re-election to Orange County Sheriff. 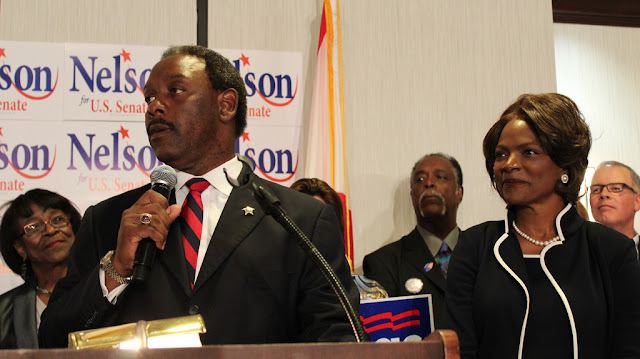 Demings came out onto the stage at the Embassy Suites in Downtown Orlando to accept his victory with a group of supporters and his wife, Val Demings, at his side. 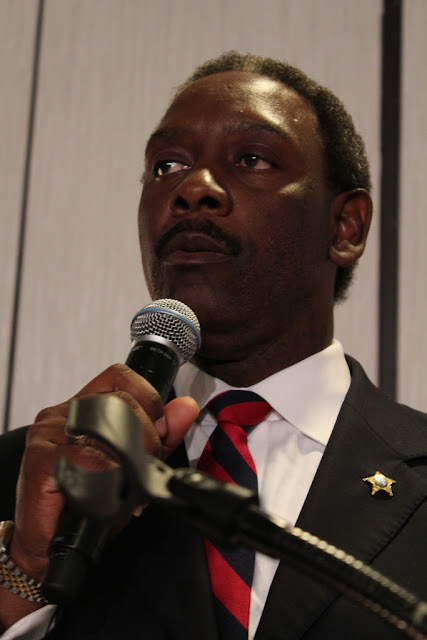 Demings was first elected as Orange County Sheriff in 2008 and has been an Orlando resident his entire life. Like most candidates in this latest political cycle his rival, John Tegg, scrutinized him heavily on his records. Part of these negative acquisitions involved an ongoing investigation by the Florida Department of Law Enforcement over alleged reclassifying crimes to artificially lower criminal statistics. “I think he’s done a great job as sheriff,” said Orlando Mayor Buddy Dyer. “He’s served the city of Orlando as police chief earlier in his career and during his tenure, crime has gone down,” Dyer said. Demings has pledged to continue his work overseeing his department and handling all the additional duties required of him by Orange County. He also stated several times during his acceptance speech that he plans to return $5.3 million dollars to taxpayers working with local officials. “What he has done for the past four years fighting crime, he will continue to do, keep drugs off the streets and keep our families and children safe,” said local businessman, Tino Patel.